The U.S. Environmental Protection Agency (EPA) announced that it will conduct a comprehensive research study to investigate the potential adverse impact that hydraulic fracturing may have on water quality and public health. Natural gas plays a key role in our nation’s clean energy future and the process known as hydraulic fracturing is one way of accessing that vital resource. There are concerns that hydraulic fracturing may impact ground water and surface water quality in ways that threaten human health and the environment. To address these concerns and strengthen our clean energy future and in response to language inserted into the fiscal year 2010 Appropriations Act, EPA is re-allocating $1.9 million for this comprehensive, peer-reviewed study for FY10 and requesting funding for FY11 in the president’s budget proposal. EPA is in the very early stages of designing a hydraulic fracturing research program. The agency is proposing the process begin with (1) defining research questions and identifying data gaps; (2) conducting a robust process for stakeholder input and research prioritization; (3) with this input, developing a detailed study design that will undergo external peer-review, leading to (4) implementing the planned research studies. To support this initial planning phase and guide the development of the study plan, the agency is seeking suggestions and comments from the EPA Science Advisory Board (SAB)—an independent, external federal advisory committee. The agency has requested that the Environmental Engineering Committee (EEC) of the SAB evaluate and provide advice on EPA’s proposed approach. The agency will use this advice and extensive stakeholder input to guide the design of the study. Hydraulic fracturing is a process that drills vertical and horizontal cracks underground that help withdraw gas, or oil, from coalbeds, shale and other geological formations. 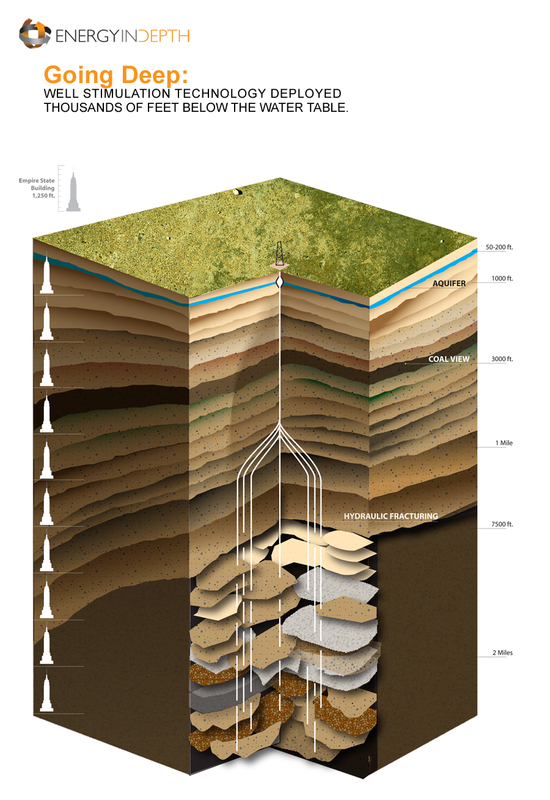 While each site is unique, in general, the process involves vertical and horizontal drilling, taking water from the ground, injecting fracturing fluids and sands into the formation, and withdrawing gas and separating and managing the leftover waters. A federal register notice was issued March 18, announcing a SAB meeting April 7-8. The industry has long maintained that in the 60 or so years since the practice became common, there has not been a single documented case of water contamination attributed to the procedure. Critics of the industry, however, say no cases have been found because no one looked very hard, and because the practice has been exempted from the national Safe Drinking Water Act since 2005. The exemption came at about the same time that new techniques in drilling and frac’ing, as well as rising prices for natural gas, lead to a significant increase in drilling activity around the U.S., including Western Colorado. The industry also has long maintained that the chemicals used in the formulation of “frac’ing fluids” are not actually secret, and that they are available on various websites, including the site maintained by the Garfield County Oil & Gas Liaison office (www.garfield-county.com, under “County Departments”). Industry critics, however, have been skeptical of that claim, arguing that the lists that are publicly available are not actually complete. [Commissioners Mike Samson and John Martin], both Republicans, won elections last November after benefiting from independent campaign expenditures from energy-related interests. For Samson, a newcomer to office, Monday was perhaps his most significant energy-related vote to date. All three commissioners said they heard from numerous constituents regarding the fracturing legislation, and county staff members told commissioners they received thousands of comments. Residents in Colorado and other states, living near the drilling operations, have reported getting sick themselves, watching livestock die and experiencing everything from exploding domestic water wells to finding foul-smelling slicks covering nearby waterways — all of which they believe are related to the drilling activities and the chemicals used in the frac’ing process. The energy companies, however, argue that there have never been “documented” cases of groundwater contaminated by drilling rigs, and that the FRAC Act would cause regulatory delays and increased costs for their activities. Two Colorado representatives, Diana DeGette, D-Denver, and Jared Polis, D-Boulder, joined with two East Coast lawmakers on Tuesday in a move to repeal a Bush administration exemption of the industry from following the federal Safe Drinking Water Act. The group, which included two other Democratic representatives — Bob Casey of Pennsylvania and Maurice Hinchey of New York — introduced legislation that would require oil and gas companies to disclose what chemicals are used in the controversial process. The two eastern lawmakers said they signed on to the bill because increased oil and gas exploration is taking place in their states. Known as the FRAC Act — short for Fracturing Responsibility and Awareness of Chemicals Act — the measure would be an amendment to the Safe Drinking Water Act, according to a message from Kristofer Eisenla of DeGette’s Washington, D.C., office. More Coyote Gulch coverage here and here.